Bratislava is the capital of Slovakia with a population of about 460,000 and is the country's largest city. This metre gauge network was visited on 16th August 1992. 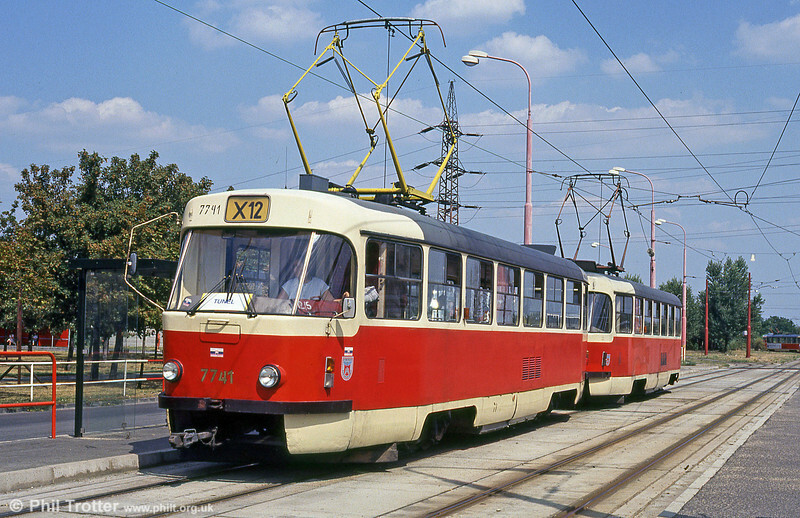 Tatra T3 7741 at Ružinovská terminus on 16th August 1992. 7741 was on of serveral T3s designated T3SU - originally built for export to the Soviet Union.